In our previous post on Social Media Strategy for Local Professionals, we went into great detail on how we would try to “own” our city or local community for our niche/industry on social media. If you are a doctor, lawyer, plumber, real estate agent, insurance broker, or any small business who provides service to a local client base, you can harness social media to build your brand reputation and business in your local community. 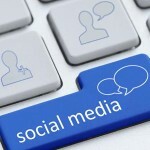 You may choose to run your social media campaigns personally or in-house. However, keep in mind that an effective social media campaign requires dedicated time and knowledge of current methods. 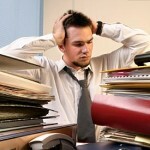 A professional social media management service may be the most efficient use of your valuable resources. Regular posting on Twitter, Facebook, and Google Plus & Profile engagement and growth as described in our “How to Own Your City and Industry on Social Media” article. We are running a “Local Professionals” social media special. Our social management packages typically start at $599/mo. This special offer requires a monthly subscription of ONLY $219.00, which is 63% Off our regular rates. To take advantage of this offer, you must be a local professional or service business in your community. If you are an agency, you may also use this service for your clients. All of our subscriptions are setup through Paypal. You will be charged the same day every month for the next month’s service, and you can cancel at any time. You will receive service for the full duration of the time charged. For example, if you make a payment on August 22 and cancel your subscription on September 10, we will post to your accounts through September 21. To get started, please subscribe with the button below. Or you can contact us through the “Contact Us” tab. Once you sign up for service, you will be directed back to this site to submit your order details. One of our social media managers will receive an email with your information and will contact you within 24 hours to start work on your account(s). 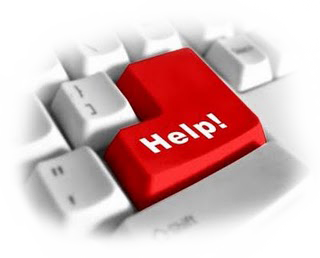 If you’re looking for free help with social media marketing, you’ve come to the right place! We BELIEVE in social media, and we enjoy helping others learn about social media. We can even help manage your social media marketing, if needed. 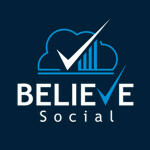 If it’s your first time visiting BELIEVE Social, you may want to start with some of our more popular articles. These can help you figure out how to utilize social media to build your brand. We also offer a variety of professional social media services and packages to fit the needs of brands and small businesses. Here are some helpful articles, as well as a special offer for new visitors- Save 63% off our Basic Social Media Management Package! This article describes two ways your local business can expand its reach by using social media marketing strategy. 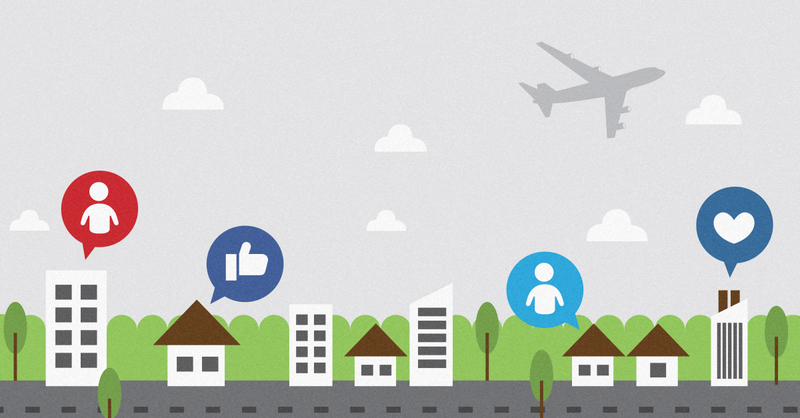 If you want to “own” your industry on social media in your local community, start here. You will learn how to become a center of influence on social media and dominate your city/location in your niche. 2. So You Want Your Business to Rank in Google, but It’s Not on Google Plus? This article explains one of the most powerful but often overlooked social media platforms- Google Plus- and why you need to use it. If you and your business are not on G+, you are definitely missing out on a great marketing opportunity and likely losing out on traffic from search engines and social media communities. You don’t have to hire someone to run your social media, but if you do- make sure the firm you hire can offer these 5 benefits. There are many reasons it might make sense for you to outsource your social media marketing, but there are a lot of “gurus” who will try to take your money without offering you good value in return. This will help you know what to expect. If you need help with implementing the strategy described in #1, we can completely manage your social media marketing for you. We will develop and post relevant content and expand your social media reach in your industry and community. Your time is better spent working on your main business functions, and interns and general office employees really do not “get” social media marketing. Social Media marketing is what we do, and we don’t do anything else. We are constantly learning, reading, brainstorming and testing new strategies to help our clients succeed with social media. We are offering a special plan for new visitors at this link. 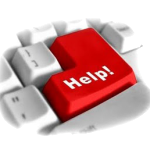 Looking for social media marketing help? Before you purchase any social media services, please read our free articles and see our current Special on social media packages. If you have any questions, please Contact Us. Anyone that owns or runs a business regardless of its size is undoubtedly aware in this day and age that having a social media presence is virtually a must; but is simply setting up a page and hoping it gains a following enough? The simple answer is “no,” but properly running a business’s social media presence while at the same time maintaining the day-to-day operations of the business can be an almost impossible task. 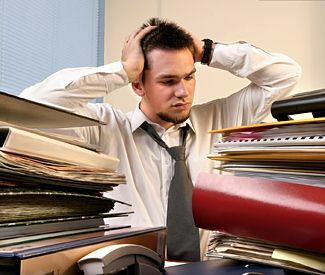 This is where a professional social media management company can come into play and help not only alleviate the loads of work a business owner undoubtedly already has, but also provide the skills and knowledge necessary to build a sustainable and even profitable social media presence across multiple platforms. So why such an emphasis on the word “professional” you may ask? This is due to the fact that there are numerous services out there that claim to be top of the line when it comes to social media management, but in reality many of them take numerous shortcuts in order to meet a bare minimum when it comes to service. From improper grammar and an obvious lack of knowledge about a given niche, all the way to completely automated content posts that will make sure “something” is posted regularly on your pages, there are social media management services that are less than professional and that fact is usually very obvious in their pricing. The old saying “You get what you pay for” has never been more true. 1. Provide quality content posts that are related to the given niche. – It seems like a simple enough idea: post content that is related to the business’s niche; the fact is many social media managers don’t dig deep enough and would rather post “something” just to get something up rather than go for depth and quality. A true pro would be asking questions like “Will the readers find this information useful?” and “Is this something I believe the audience will find interesting enough to share with others?” “Quality over quantity” is what it’s all about here, and a useless post is a waste of everyone’s time. 2. Interact with followers/fans. – Being social on social media, imagine that! Interacting with your fans/followers/audience is a surefire way to keep your social pages active and will keep them coming back for more. It’s a simple concept: if someone asks a question on your page, they would probably like to see an answer. If they comment on something you post, they would surely appreciate some feedback in most cases. By doing these things, before long you’ll notice your audience even interacting with each other and before you know it, you’ll have a thriving active community with your business at the helm. 3. Engage industry “influencers.” – This one is something that is sorely missed in most cases in the social media world. Have you ever thought about who the leaders are in your given industry? The major corporations or brands that set the standard for your business? Let’s say a financial company shared information from the “Forbes” website – what if you tagged them in your post to let them know you enjoyed their content and shared it, and then they replied and acknowledged your mention? This is a huge nod from an industry leader that not only shows others you are worth their acknowledgement, but also is a big “social signal” to search engines that tells them you are a “somebody” in the industry. Making a point to interact with “influencers” on social media can be a game changer in the long run, and something a social media pro would never overlook. 4. Connect with other businesses in the local market or niche. – When it comes to social media, being social is the key and a common misconception is that there is some sort of competition going on with others in your niche or local area. Whether another business is in your same niche or a different one but in the same local area, it is always a good idea to connect, share information, and create a relationship that could lead to more awareness for your own business. Completely shutting out a business because you view them as “competition” unnecessarily closes the door to the benefits that can be reaped from forming positive relationships via social media. 5. Create and share with Google Plus communities based on your business’s area of expertise or local area. – As explained in our previous post about the importance of Google Plus to businesses, Google Plus has become a haven for businesses to grow and connect with other businesses and potential customers. 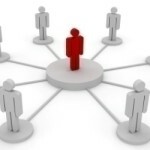 Creating a community for the given business based on its industry or the local area it is located is just one of the free ways Google Plus allows businesses and potential customers to connect and share information. Not only that, but Google Plus already has a great number of active groups to join and share information with right away. When choosing a social media management service, looking at these 5 areas and ensuring they are included in what is offered can help you decide if the service is worth your investment. “Investment” is the key word here because you are making an investment in the service and should see a return with a thriving social media presence. In today’s social media world that is bombarded with automation and shortcuts, real human interaction is the key factor that can make your business stand out and achieve your social media goals. With the right choice of service, you should feel like your company hired its own social media team that can be trusted to provide your business with quality content and steady growth without worries or the need to “oversee” anything should you need time to tend to other areas of your business. If you would like to discuss our professional social media management service, please feel free to contact us to discuss how we can help your business. So You Want Your Business to Rank in Google, but It’s Not on Google Plus? For years now it’s been a common (and smart) goal for any business to try to rank in Google for keywords related to their niche. Over the years, the way to accomplish this goal has changed continuously which has rendered many of the “old methods” of achieving a Google rank useless and left many websites “out in the cold when it comes to ranking in Google. For years there was a “get as many backlinks as possible, by any means necessary” mentality that seemed to work well at the time as far as watching a website ascend its way up in Google ranks after getting hundreds (or even thousands) of backlinks to point to your site, but then Google smartened up and quality became the key. With Google regularly updating their algorithm and detecting the more “spammy” or “black hat” methods some websites used to rank and hence looking for better ways to rank only quality websites, a new movement began to serve as an indicator to Google as to what people are interested in and talking about in a given niche; that movement over the past few years has been the advent of social media. Facebook and Twitter have reigned as the social media giants the past few years based on the sheer number of users alone. When Google decided to jump into the mix and create their own social media platform, many questions were raised as to whether they could create something unique enough to compete and actually get people to sign up for yet another social network. After all, how many social networks do you need to sign up for just to connect with old high school friends and find out how many kids they have? Maybe the average person doesn’t need another social network, but for anyone in business, Google Plus is quickly becoming a must! It seems like a common sense sort of thing; Google is looking for “social signals” from social media to help determine their search engine rankings, so wouldn’t they pay special attention to what’s happening on their own social media platform? And we’re not only talking about ranking in Google as the only reason your business should have a Google Plus presence; the platform is practically built for businesses to thrive by making it so easy to connect with other businesses, potential clients, or even a target geographical area. 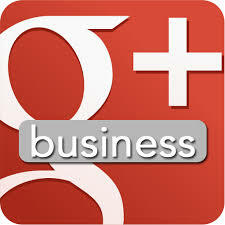 The big question is, is Google Plus currently a powerful tool that’s real power has yet to be discovered by the masses? Judging by the fact that it doesn’t have near the number of users that a Facebook or Twitter has yet, we tend to say yes. So if you haven’t already, you should get your business on Google Plus and start interacting others in your niche or local market as soon as possible and reap the benefits! Still not sure how to get started and/or begin utilizing Google Plus to its full extent? Contact us today for information on how our social media management service utilizes Google Plus to help you build your brand, create content, and connect with your target audience.